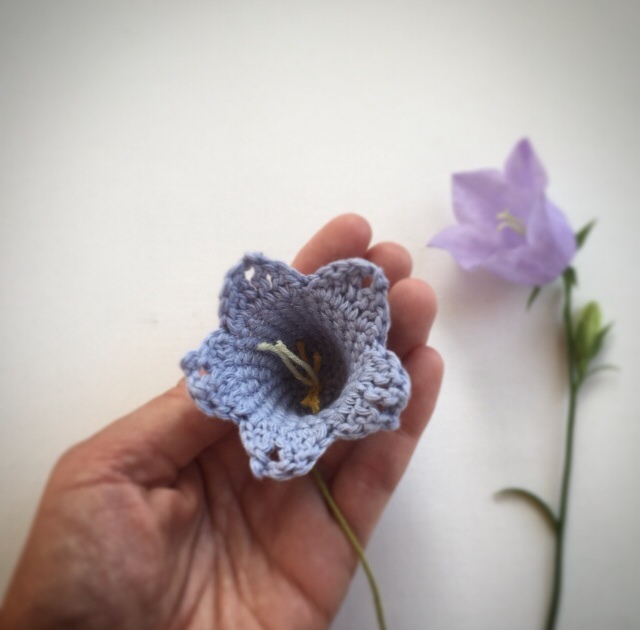 Blue bells are fantastic flowers and crochet flowers never die?! So let’s remember the summer by making some. light yellow (508) and mustard yellow (722). [sl st in next st, (hdc, dc) in next st, (tr, dtr) in next st, picot, tr in next st, (dc, hdc) in next st] repeat 5 times. 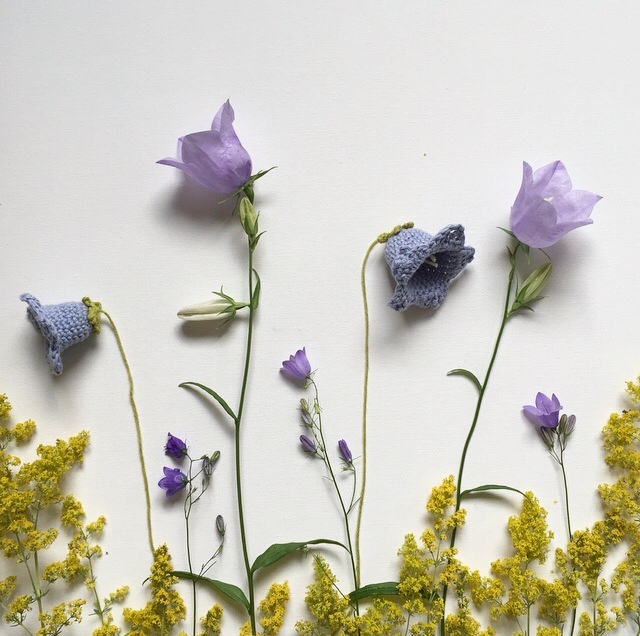 Finish with a sl st.
Before sewing the green leaves and the blue flower body together, make a stamen and pistil with the light yellow and mustard yellow yarn. 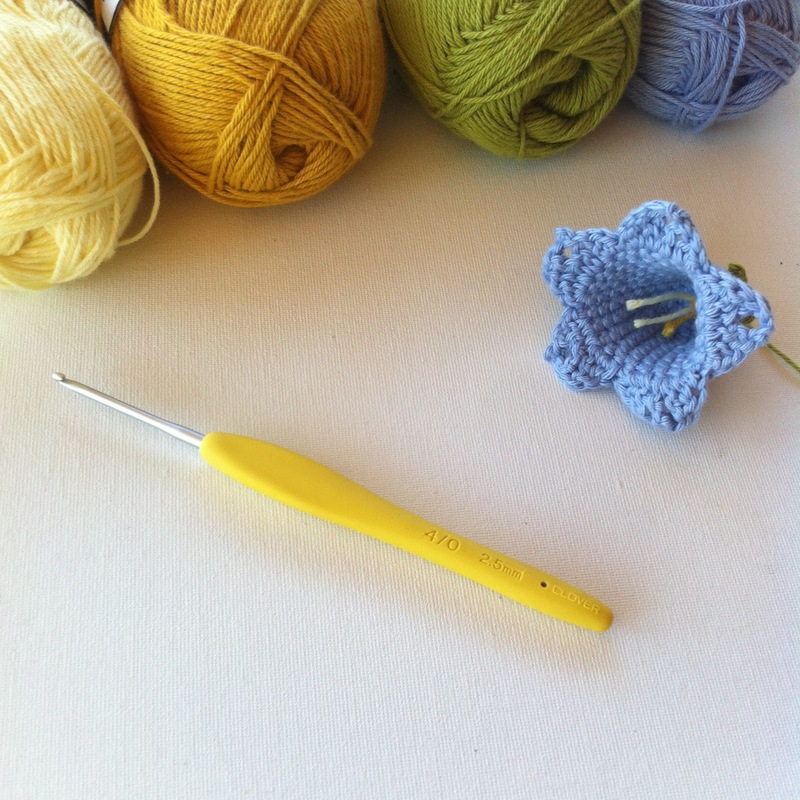 Fasten the yarn on the bottom of the flower body. Sew the green leaves to the back of the flower body and then you are finished! If you’ve got questions, or find any errors in this pattern, please tell me! © Copyright In the Yarn Garden 2015. All rights reserved. Any redistribution or reproduction of part or all of the contents in any form is prohibited without permission from In the Yarn Garden. You are though very welcome to link to this site. You can sell items made from this pattern, please credit In the Yarn Garden as designer. You can not use my patterns or pictures for any kind of advertising.